...it’s the definition of what we are all about. For some reason, on this particular drive we decided to pull off the interstate and try a path we had never traveled—new coffee shops along the way, a new breathtaking view of the river, even a strawberry stand around the bend. That drive was a huge reminder to us that we can always make the choice to either rush through the journey, or choose instead to go a little slower. To savor all the moments, and look at the ordinary events in our lives as the greatest adventures of all. Slow Road Photo was birthed out of a deep desire to invite us all to walk a little slower, stopping along the way to take notice of the wonder all around us. 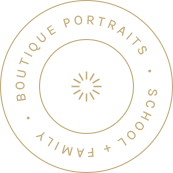 Whether through school portraits that capture children with honesty and heart or through playful and gentle spirited newborn and family sessions, the photographers on the Slow Road Photo team are consumed with the desire to help you honor all of the moments along your family’s road. It's our heartfelt mission to capture these moments along your own road—helping you to stop and savor those fun, messy, sometimes chaotic, and always sacred Slow Road moments.